The government in Iran wants to restrict your usage of the internet. Use our VPNs to bypass it. We can all agree that internet without restrictions is a beautiful thing. Sadly, not all countries seem to think so. They don’t want to facilitate the rapid spread of ideas that the internet enables so easily. One of those countries is Iran. If you live in Iran, you would know what it means when we say that the government there has restricted internet access to its population. The government feels that it needs to ban websites that it considers as contrary to the teachings of the Shia brand of Islam. If a website talks against the government of Iran, internet service providers have no other choice but to block that website. This is a big problem for local businesses along with citizens of Iran as well as people who are visiting the country for other reasons. In other words, web censorship causes problems for everybody. Not just for the people living in the country. But as with everything else bad or ugly in life/world, there is an equal amount of good as well. So what’s the good side of web censorship news? The good side is that web censorship has given rise to a ton of VPN services or Virtual Private Network. More specifically, there are many VPN services that work for people in Iran. Each and every person living in Iran has the opportunity to experience the internet as it was supposed to be experienced in the first place with the help of nothing but a VPN service. With a good Iran VPN, people who have subscribed to a VPN service can view any website and stream content from any given streaming website. In other words, they can do whatever they want without having to worry about web censorship tools. VPN services allow people to safely and successfully circumvent blackouts that their government may have imposed on them. The Iranian government has put lots of restrictions on the various type of websites, messengers, and other online services. If you want to use a service such as Telegram, you can’t. Because the Iranian government has banned it. As you can probably imagine, all these restrictions have started to give quite a few people some real headaches. Tehran will keep on imposing more restrictions for a considerable period of time. So what the best solution for people living in Iran who want to get rid of all the censorships? An Iran VPN can help anyone living in Iran break free of the censorship bubble and access the internet. A VPN is the perfect solution for people living in other countries such as China and North Korea as well. With the help of a VPN service, any person living in Iran has the opportunity to pretend that he/she is actually from another country. This is exactly what a VPN subscription will do for you as well. However, because the Iranian government is very strict when it comes to censoring the internet, it is very important for users to sign up for a secure and trusted VPN service. With the level of risks involved, you don’t want to be stuck with a VPN service that says it works in Iran but actually doesn’t work in Iran. Remember, even though the content that you want to access may be legal but inside Iran, that content may be illegal. And that can land you in a bit of a bother. Of course, you won’t go to jail or something like that. But why not have a peaceful life by paying a little amount (about as much as a cup of coffee would cost) for service that will protect you and your data when you are online surfing the web. Custom-built applications for all major platforms and operating systems. VPN servers located in over 50 countries. Could work on its customer service a little bit. As far the best value for money VPN services go, there is none better than IPVanish. It offers lots of features and at a reasonable price. This VPN service provider is fast and comes with all the bells and whistles that some users require of a VPN service. More specifically, it has DNS leak protection and a kill switch feature as well. Compared to other VPN service providers on this list, what makes IPVanish stand out? Well, it is the fact that IPVanish has rock solid reputation. It won’t run away with your money. The people working behind IPVanish won’t just shut down their entire operations one day and just go underground. This VPN service provider has stood the test of time and has come out on top of all VPN ranking tables for many consecutive years now. Now, the only problem with IPVanish is that, it is based in the United States. That means, officially, it can’t offer services for countries such as Iran. But our research shows that some people have managed to make this VPN service work even in Iran. They have used the SOCKS5 option. This option helps users to bypass all internet restrictions in countries such as Iran. Taking everything into perspective there are very few VPN service providers that can offer as good an experience as IPvanish. Since the company offers really fast VPN servers, it is also suitable for users who want to stream HD content. IPVanish also happens to have a seven-day official money-back guarantee. In other words, you don’t have to take any risks while signing up for IPVanish. Click here to sign up for IPVanish from the official website right now. Offers discounts many times a year. If you catch those discounts you can save a lot of money. Has VPN servers which are located in over 94 countries. Makes use of strong encryption. On the expensive side but probably worth it because of the good quality of service. Many consider ExpressVPN as one of the best VPN for Iran without a doubt. Let’s discuss some of them. The first reason is that the company makes use of a very strong encryption technology. Moreover, the company has a lot of bonus feature on top of the standard ones to make sure that the user’s data remains as secure as possible. DNS (Domain Name System) leak protection. The stealth mode is a great tool for anyone who wants to bypass VPN restrictions set by different governments in the safest manner possible. ExpressVPN has VPN servers located in strategic positions all over the world. But the company doesn’t just give users servers to work with. It gives users fast, almost lightning, VPN servers. In other words, if a user is signing up for a VPN service because he/she wants to stream HD content or play online games then he/she can’t go wrong with ExpressVPN as best VPN for Iran. ExpressVPN also allows users to engage in P2P or Peer-to-Peer torrenting. This is the VPN that you want to sign up for if you want to torrent in Iran. ExpressVPN will keep your data safe and secure even when you are connected to a public WiFi. The company offers dedicated software applications for all major platforms. Moreover, the company allows users to protect a total of three simultaneous devices per account. Although that number isn’t the highest we have ever seen, it is still good enough. Besides, ExpressVPN is one of the most user-friendly and intuitive VPN services that we have come across till now. In the end, we would like to inform readers that all ExpressVPN packages come with a 30-day official money-back no-questions-asked guarantee. So if you are signing up for ExpressVPN, you are taking absolutely zero risks because the company will simply give you your money back if you don’t like the service. Has a 30-day official money-back guarantee. Mobile apps are more than reasonable. The company changes its features and pricing model a bit too frequently for our liking. PrivateVPN is perhaps the only good Swedish VPN service provider that keeps zero logs. The company has over 80 VPN servers that are located in over 52 countries sprinkled all over the globe. That is just one reason why we recommend this VPN service to people who want best VPN for Iran. PrivateVPN comes with great features such as a Kill Switch and DNS leak protection. But PrivateVPN has a different Kill Switch than all the other VPN service providers. It has a firewall-based Kill Switch for the whole system. And it also has an option where the Kill Switch acts on a per-app basis. As far as DNS leak protection goes, PrivateVPN offers this feature for both IPv6 and IPv4 connections. PrivateVPN custom clients have the DNS leak protection feature as a built-in security feature. In other words, users don’t have to go out and install add-ons in order to protect themselves against DNS leaks. Perhaps the most impressive thing about PrivateVPN as a VPN service is that it has a customer service that is very good. In fact, it is more than very good. PrivateVPN has really put in a lot of resources into its customer service department to make sure it offers a high-level of assistance to the company’s customers. PrivateVPN customer support has the capability to install even some of the most advanced features that the company’s VPN client has to offer remotely. So for technophobes, PrivateVPN is the best VPN for Iran and beyond. As mentioned at the top as well, PrivateVPN offers a total of six simultaneous devices per account. That number is very generous as the industry standard is around 4 simultaneous devices per account. Then there is the fact that PrivateVPN offers features such as SOCKS5 proxies and HTTP along with port forwarding. Remember, all of these features are bonus features which come apart from the company’s standard set of VPN features. And what can we say about the official PrivateVPN 30-day money-back guarantee? The company has a rather good reputation for having no quibbles about giving people their money back if they are not satisfied with the service. Hence there is really no risk when you are signing up with PrivateVPN. Remember, PrivateVPN comes with lots of other features that plenty of other good VPN service providers can’t seem to find the funds to offer. Official website in multiple different languages such as Swedish, Dutch, German and English. Why have we included VyprVPN as best VPN for Iran in this list? The company’s stealth mode basically forces any list of best VPN for Iran to include VyprVPN. VyprVPN’s stealth mode is excellent and users will find it very easy to use when they want to get around the Iranian government’s VPN blockade so to say. Additionally, users should also remember than VyprVPN operates on a proprietary network that belongs to Golden Grog. That means, VyprVPN owns its own servers. Hence, it has complete independence to what information it collects on its users and can offer significantly higher speeds than other VPN service providers. As mentioned earlier as well, VyprVPN offers a strong OpenVPN encryption. VyprVPN offers dedicated applications for all major platforms. Moreover, it also offers all the required plus extra security features that users have come to expect from top-notch VPN services. As far as free trials go, VyprVPN offers a short one that lasts only three days. That tells us that the company has an immense amount of confidence in its services. In other words, there is no harm in going VyprVPN a shot, even for three days to know if it can be your best VPN for Iran. VPN servers which are located in over 60 countries. No real cons apart from the fact it could work further to ensure it can access US Netflix. VPNArea is a Bulgarian VPN service. Its greatest strength is a live chat support that is available for users 24/7. As far as chat support quality goes, our research shows that VPNArea customer support team is friendly and helpful. In other words, a near-perfect and best VPN for Iran. VPNArea offers all the necessary security features for people living in Iran. The company has recently also launched its own stealth mode which goes by the name of Stunnel. If we are talking about the most improved VPN service provider on this list then it is probably VPNArea. This VPN service provider has gone from strength to strength in a very short period of time. It offers dedicated software applications for almost all major devices and platforms. Moreover, the company allows its users to connect up to five simultaneous devices. VPNArea doesn’t necessarily have the fastest VPN servers but the company offers fast enough servers that allow users to stream content in HD. Its overall interface is intuitive. On the security side, the company offers DNS leak protection as well as a kill switch. As far as best VPN for Iran goes, there are hardly better options than VPNArea. 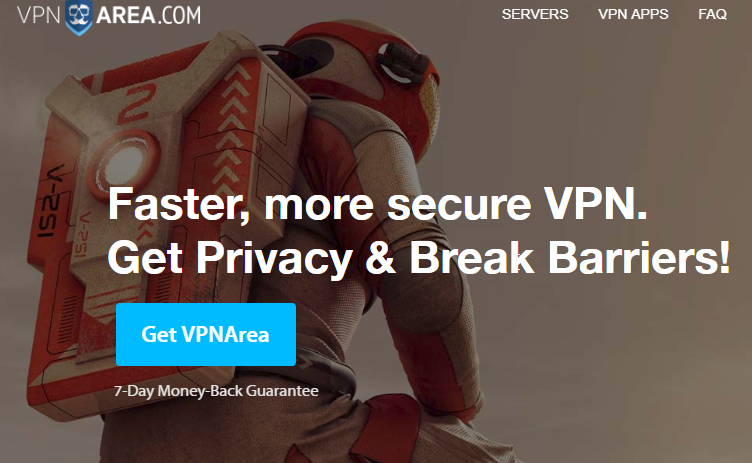 To prove that it has the credentials to rub shoulders with the giants of the industry, VPNArea has also started to offer a seven-day money-back guarantee. In terms of value for money, there aren’t any better VPN for Iran out there in the market that can offer this much security for this low a price. Is best VPN for Iran different from just a “best VPN”? It is an online service which enables users to conceal IP addresses and therefore, real locations of their desktop computers and other devices. Additionally, VPN services protect user data. They do it by providing users with an extra layer of security via encryption. Good VPN service providers use strong encryption technologies. Encryption essentially prevents internet service providers along with hackers and governments (such as that of Iran) from snooping on the user. VPN users don’t have to worry about all these actors because their data is safe. No one can ever know what they doing online. There are many other reasons why VPN for Iran is in such high demand. 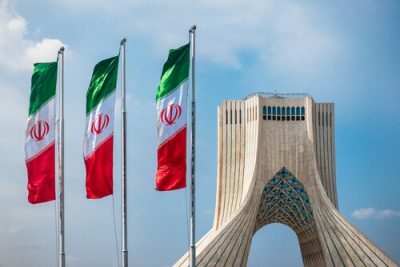 With the Iranian government introducing even more censorship tools, a VPN for Iran is the best solution to digital privacy for online consumers. The other thing readers should know about VPN services is that these VPN service providers allowed any online user who happens to be living in Iran to securely change his/her IP address and pretend like he/she is from another country. All that the user has to do in order to achieve that is to get a VPN service, install its application and then connect to the provider’s VPN server that is located in another country outside of Iran. With a VPN for Iran, VPN subscribers will find it very easy to hide their real IP address (IP, here stands for Internet Protocol). The process, as alluded to before, is pretty simple. The user signs up for a VPN service. Then the user uses the VPN service to connect to a specific given VPN server in the country of the user’s choice. Then the user appears to every other website on earth as someone from the user’s chosen country and not the user’s actual country. In other words, the internet interacts with the user as if the user lived overseas. Such an arrangement enables users to access plenty of online services and websites that governments of foreign countries usually block. Using a VPN service has two other important effects. For people residing in countries such as Iran, a VPN service providers them with a way to evade web censorship. VPN services give them access to online streaming services and websites such as YouTube, Gmail, and WhatsApp. Iran blocks a lot of services (including the one that allows users to play online games such as Fortnite) throughout the region its government controls. Great VPN services not only open up the internet for people living in Iran, they also help these users to access streaming sites such as US Netflix and BBC iPlayer, two streaming sites that the majority of online consumers cannot access for one reason or another. We have already talked about the fact that VPN service providers offer encryption technologies in order to protect users online. from any sort of spying. They can’t tell what the VPN user is up to. For some VPN users, this is absolutely critical. And perhaps it should be. Once a VPN user knows that no one is recording his/her data, it leaves the user free to search for anything sensitive (like issues related to their health or financial situation) and personal using various online services. All VPN services do that for you. But there are a lesser number of VPN services that do the same things for you in Iran. A good VPN for Iran has to have the required features that people need in Iran. Since the government doesn’t want people to experience a free internet, the user has to make sure that out of the hundred or so VPN services in the market today, they only sign up for the VPN service that has the ability and the reputation of keeping the user’s data safe and secure in Iran. This is the reason why online consumers in Iran need to exercise great caution when they select their VPN service. The list that we have recommended, is suitable for people in Iran because all of the VPN services on this list work in Iran. We are confident that if users in Iran sign up for our best VPN for Iran, they will not only ensure the safety and security of their data, but they will also have a great defense against actors that want to discover that they are doing in the online world. No one will know what content you have unlocked or what services you use with the help of a VPN service. Again, there are many reasons for using a VPN in Iran. We have already touched upon the fact that VPN services are very important for people living in and visiting Iran. But just to reiterate, if you want to stop governments along with hackers online to not have access to your sensitive online traffic and if you want to safeguard your digital privacy, then you need a VPN for Iran. There is the other reason that if you want to have access to a web that isn’t censored, then you need a VPN. A VPN will not only unlock the web for you but it will also hide this fact from the government and internet service providers so they can’t fine you or block your internet connection. Iran has numerous laws that a few people find hard to stick to. For example, many types of internet content are banned in Iran. With a VPN service, people in Iran can access that content securely and privately. If they access the content without a VPN service hiding them then they could get into trouble depending on the content that they consumed. How Safe is it to Use a VPN Service in Iran? A VPN service is a safe service regardless of your geolocation. The only problem is that sometimes the VPN service that you have signed up for doesn’t hold its end of the bargain. That is why it is a must that you stay away from VPN services that are not best VPN for Iran. As we have explained before as well, the VPN service market is pretty crowded right now. And there are a lot of pretenders. You must not sign up for these pretenders. Instead, you should sign up with what we call contenders. That is, contenders for the top VPN service in the world. Before you buy a VPN service, you need to take into account a lot of factors. The first thing the user needs to give attention to is, price. Don’t go out and buy the cheapest VPN for Iran out there. Although it will save you money initially, most of the time, researchers have found such VPN services as honeypots that the Iranian government uses to spot users who are trying to hide their internet activity with the help of a VPN service. So, the general ruling here is that you should try to stick to only VPN service providers that have worked hard for a good reputation. That means, the majority of the VPN services that are available in Iran are out. VPN services that are located in countries that are close to Iran are also out. The only VPN service that you should give time to is the one that is based outside of Iran and has a wide VPN network. The ones that we have mentioned on our list are all internet VPN service providers with a great reputation. Elite VPN service providers give it their all to protect user privacy. A VPN for Iran must implement strong encryption in an outstanding fashion. Here, the choice of the encryption technology will also matter. VPN stealth mode. Some call it cloaking. When we researched the VPN services that we have mentioned in this list, we made sure that all the VPN services on this list had these features. In other words, these VPN services have everything you need a VPN service to have to work properly in countries such as Iran. Law enforcement authorities would not get the opportunity of spying on your data. This is the reason why we recommend to people that they should read a lot about different VPN services via forums such as Reddit (perhaps even Quora, but not recommended). Or they can just skip that and try our recommended options. VPN services that don’t have a good reputation for protecting their user data will always put the user at risk when law enforcement agencies come knocking on the door. 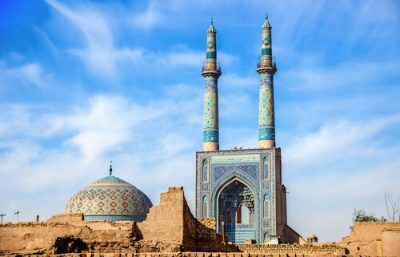 How To Choose The Best VPN For Iran? As mentioned before, the VPN service providers that we have mentioned here provide users with the best security and privacy. With that said, it is also true that all of these VPN services are different from each other in subtle ways. Some online consumers may have the desire to sign up for a VPN service that allows them quick access to new websites. And they would want access to these sites without compromising their privacy. When everything is said and done, it is the user that has to decide which VPN service would fulfill all his/her requirements. Users who want to use a VPN service in order to use a torrent website or stream video content in HD or play games should heed our advice and sign up for a VPN service that has fast VPN servers. Fast VPN services give special attention to such users and take care of their data-intensive online tasks. This is not the only reason why users need to take their time in reading all the detailed summaries that we have provided above for each VPN service. The summaries that we have written aim to provide users with everything they need to know in order to make an informed decision on which VPN service provider they want to sign up with. In the end, readers should not forget that each and every VPN for Iran that we have mentioned in our best VPN for Iran list, offers users a decent money-back guarantee. For the end user that means the user is free to test the given VPN service for a specified period of time before the user can ask for his/her money back. In fact, we recommend that users should test out a couple of VPN services using their money-back guarantees to check which one suits them better. Having these solid privacy documents ensures that these VPN service providers keep their promise of zero-logs. Either they keep absolutely zero logs and if not that, then they try and keep as few logs as possible. Even when they do keep logs, these are just connection logs. Our list of best VPN for Iran does not name any VPN service provider that keeps usage logs. Usage logs are what online consumers need to be aware of. Because these are the logs that internet service providers or law enforcement agencies or the VPN service provider itself can use in order to look at the online activities of any given user. That’s the benefit of signing up for a zero-log VPN service. Because when a VPN service adheres to a zero-log policy it itself doesn’t have any information on what its customers do online. So if authorities come to this kind of a VPN service provider and ask for information about a user, then the VPN service provider would have nothing to provide to them. Additionally, each and every one of the best VPN for Iran that Security Gladiators has listed here take great pains to offer users a strong implementation of the OpenVPN encryption technology. Users should know that as far as strength goes, there is none better encryption protocol on the VPN market than OpenVPN. For the end user, that is you, it means the user’s traffic is safe from hackers. No matter the skill of the hacker, the user’s data will remain safe and the hacker would never know what the user is doing online. At this point in this guide, we have already taken care of issues such as security and privacy. We have also gone into great details about the VPN servers that our hand-picked VPN services offer to the user. These servers are located in different corners of the world. And they help users to unblock any given censored service. They also remove geo-restrictions from online content. The inherent problem with using a VPN service is that a VPN service tends to slow down the speed of the user’s internet connection. Sometimes, VPN services slow the internet down to such an extent that it becomes impossible for the user to watch any kind of videos, let alone stream videos from Netflix and co.
With that said, the biggest reason why people want to use a VPN in Iran is that they want to first unblock and then watch a streaming site that we all know as YouTube. This is the reason Security Gladiators has only picked those VPNs for Iran that work with YouTube. 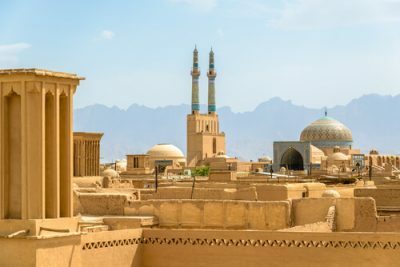 All of our best VPN for Iran mentioned in this guide provide great connection speeds. With these VPN services, you should have no trouble in streaming content from sites like YouTube. We have made sure to only include the best VPNs for Iran that have a great network of VPN servers that are not only reliable but also fast. With our recommended best VPN for Iran, users should have no problems in performing many of their data-intensive tasks like HD streaming, gaming and what not. It has a laser focus when it comes to tasks such as censoring and blocking different websites around the world. Many users have this misconception that no VPN service works in Iran. Or that VPN services are illegal in Iran. In reality, the Iranian government allows users to make use of VPN service that it has approved. How are these VPNs different from normal VPN services? Well, for one thing, all of these VPN services operate from within Iran. As many of us know already that Iran is an Islamic republic and hence it wants to do its best to avoid exposing any of its viewers to content that is un Islamic. Of course, there are people who are visiting Iran or living in Iran who would want to have the freedom of consuming content that they don’t have a problem with. But that isn’t something that government-approved VPN services do. They come with a lot of problems. The other thing about these government-approved VPN services is that they have a legal obligation to decrypt all of their data and then hand over all of that data regarding user traffic to law enforcement agencies in Iran. And this decrypted data includes usage logs. For the end user, it means that even if they use a government-approved VPN service they would not have the ability to hide their traffic from the government. In other words, law enforcement agencies along with the government would know almost everything about the user’s activities online. Hence, the user would not find any benefit in using such a VPN that does not even conform to the definition of a VPN service. In short, readers need to stay away from government-approved VPN services. These VPN services are nothing but gimmicks. They trick their users and offer them a false sense of online security. Hence, users should never sign up for a government-approved VPN service. Users may have come across alternative methods that they can use to unlock all sorts of content in countries such as Iran. There are many web browser proxies along with proxy websites which enable people all over the world bypass internet service provider blocks inside Iran. However, readers should take note that most of these proxy services aren’t what they seem. In other words, they don’t really protect user privacy. GOvernment agencies along with internet service providers still have the ability to know, monitor and record what the user is up to online even when the user has switched on a proxy service. Because these proxy services don’t have the resources to perform actions such as encryption. Encryption is something all VPN service providers perform in order to safeguard user data. Another lesser-known method that users utilize in order to unblock streaming sites in Iran is the Smart DNS proxy service method. Smart DNS services are pretty similar to VPN services. Well, these Smart DNS services route the user’s DNS requests via the service’s own remote servers. Hence, they achieve the effect of making the user appear in a completely different location. With that said, users should also know that Smart DNS services have the same problems that proxy services have. In other words, they don’t provide protection to users in terms of security and privacy. There are many VPN service providers in the market today (a few have even made it to our list) that offer new users a free Smart DNS service when the user signs up for their premium VPN subscription plan. Nonetheless, Security Gladiators does not recommend the use of a Smart DNS service that comes for free with a VPN service. We always prefer a stand-alone purpose-built VPN service or a Smart DNS service. The reality is that users have much more protection and privacy when they are using a VPN service. Because VPN service provide encryption. And encryption is the key element which stops government agencies and anyone else from spying on the user’s data and knowing what they did online in any given session. Iran is a country that has unnerving political circumstances. People living in Iran, especially its citizens, should take the safe route and exercise a good bit of caution when they are looking for a VPN service. Now, we have done a lot of research in reviewing VPN service providers. Thus our recommendations only include VPN service providers that have proved time and time again that they are the best of the best. 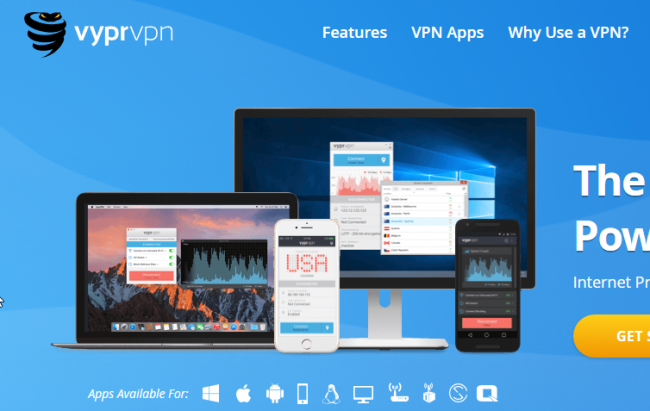 Our list of best VPN for Iran contains VPN service providers that offer all the critical and advanced VPN options which play a very important part in keeping the user’s data safe and identity secured. The VPN services that we have mentioned have excellent bonus features as well. If these VPN services don’t protect you than none will. So make sure you don’t go out and sign up for an unknown VPN service just because it is cheap or free. Let’s take a look at some of the vital features that are a must for any VPN for Iran. This feature is very important. Because users will regularly come across situations where their VPN connection would just drop without any warning while they are surfing a restricted website. In such a case, all of the user’s data will leak out to the world of the internet. The user’s internet service provider, as well as the government, can collect that data. If the person is living in Iran then this would be a very concerning situation. 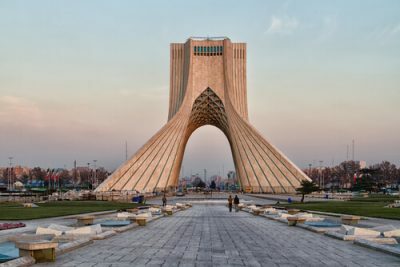 The Iranian government doesn’t want people looking at certain websites and if it finds someone breaking the law with a VPN service then it can act rather harshly. To counter such situations, good VPN service providers (practically all of the VPNs that we have mentioned in this guide) offer users a Kill Switch feature. The Kill Switch is actually a technology. It blocks the user’s internet connection the moment it recognizes that the user’s VPN connection either timed out or dropped out. How does the Kill Switch work? It works very simplistically by blocking any and all internet traffic from the user’s device to leave it and enter the outside world of the internet before going through a VPN tunnel. The one thing users need to pay special attention to here is that none of their data should ever leak out. Not the web browsing data. If it does, there is a good chance the user’s internet service provider is at the other end waiting to gobble it up. So make sure you never sign up for a VPN service that doesn’t have the Kill Switch feature. Iran is a pretty special country when it comes to allowing people access to the internet. 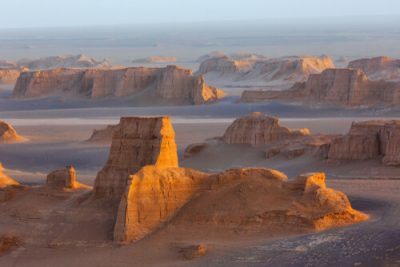 This is a country where internet service providers have no problem in throttling the user’s internet traffic speed on behalf of the Iranian government. In fact, this is exactly what happened during recent protests (held in various regions of the country) where the government in Iran greatly decreased the speed of the internet for all people living in Iran. Internet service providers also engage in throttling the user’s internet connection speed when they detect that the user has used a VPN service. This is the reason why we recommend that users should give proper importance to features which help in obfuscation when signing up for a VPN service. Good VPN service providers usually offer users a stealth mode feature. This feature basically enables users to disguise their VPN-protected traffic as normal traffic that makes use of the HTTPS protocol. When a user utilizes the stealth mode feature, it prevents internet service providers from every knowing that the user made use of a VPN service. Needless to say, that is great for a couple of reasons. One, when users in Iran conceal their VPN use, it enables them to move through the crowd without drawing any unnecessary attention. If the government in Iran detects that a user is making use of a VPN service, it will wonder about the reason why the user is doing so. Curiosity will lead the government agents to think about the person using the VPN service. What does the person want to do with the help of a VPN service? Two, by concealing VPN use, consumers will also do away with decreased internet speeds. A VPN service may offer a stealth mode feature in a number of different ways. The most common forms of stealth modes are Obfsproxy and Stunnel. A few top-of-the-line expensive VPN services have managed to develop their own custom and proprietary obfuscation implementations. There is another method to conceal one’s use of a VPN service. And that is to simply route OpenVPN TCP through port 443. Our research shows that there is no simpler method to disguise one’s OpenVPN online traffic as just the old HTTPS traffic. All DNS leaks are potentially dangerous. Because they can easily revel where the VPN user went and what the VPN user saw online. In turn, this enables the user’s internet service provider to monitor the VPN subscriber’s browsing history and track the user’s online activities. All the while, the user thinks he/she is safe because he/she is using a VPN service. Garbage VPN services don’t guard against DNS leak protection. That is the reason why users looking for a VPN service must remain careful to not make the mistake of subscribing to a VPN service that is suffering from a lack of DNS leak protection. Our list of best VPN for Iran only contains VPN services that have this very feature. Security Gladiator’s research shows that these VPN services don’t leak user requests. Additionally, our best VPNs for Iran go the extra mile and offer specific protection for DNS leaks. Users should always enable the DNS leak protection feature so that the VPN client can provide them the maximum amount of security and protection. 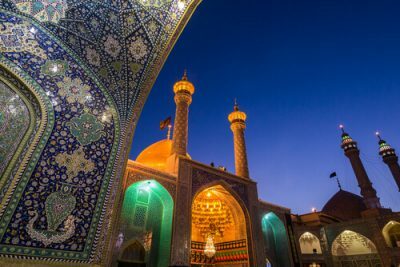 Benefits of Using A VPN in Iran? The government in Iran has a very good excuse to control its people’s access to the internet. Well, the Iran government says that it considers it as its most important duty to preserve and improve the nation’s moral standards. Some would say there is nothing wrong with that. It uses this moral campaign to ban many social media sites that, with all their faults, provide some benefit as well. Now, even though the majority of the content on YouTube is rubbish and morally degraded, it does have a lot of useful content as well. We’re talking about content from some of the world’s best universities and what not. That isn’t to say that the government in Iran doesn’t know much about technology. And has developed very potent mechanisms to make sure that it can block access to an open internet. What is also true is if one was to form a league of governments that don’t really care about western concepts such as freedom of speech, then Iran would take the second position. As far as stamping out all forms of dissent via online platforms is concerned, there is no government that can match China (and of course, China). The List Of Websites That Are Blocked in Iran? The actual list would probably contain thousands if not tens of thousands of websites. So let’s just keep it to the major sites. Why proof we have of that? Well, many believe that Iran has blocked about 30 percent of all websites. Some statistics have also revealed that of the top 500 most visited sites in the world, Iran has blocked a mammoth 50 percent of them. As you can probably tell, it would take a lot of time for anyone to list out each and every website that Iran has currently blocked. With that said, let’s (once again) list out the major websites that you can’t access in Iran. Additionally, the government’s range of blocked sites is pretty eclectic. One could easily fill up a lot of topics with the websites that Iran has blocked. Even if you happen to have a Netflix account in a country like Iran, it is not of much use. The content available in all non-US Netflix editions is minimal when compared to US Netflix. To put it another way, US Netflix is the real deal. Click here to read on what are you missing out without US Netflix. Click here to know more about US Netflix hidden categories. There are VPNs out there that enable people to log directly into the US version of Netflix and hence have access to US catalog. What readers should also know that the US Netflix has more TV shows and movies than the rest of the Netflix versions put together. We can’t deny the benefit that public WiFi networks and hotspots offer. Public WiFi networks enable people to access free internet. These networks also allow online consumers to make a huge saving on their monthly data allowance. Consequently, users only need to use their own mobile data when they truly need it. With that said, we can’t deny that public WiFi networks are unsafe. Because these networks are prolific as well as useful, hackers have their eyes on them. Public WiFi networks, hence, come with a lot of dangers. Anyone who is connected to a public WiFi network has basically exposed himself/herself to every other user who has connected to the same public WiFi network. Any user with enough knowledge could access any other user’s traffic. Some even have the ability to piggyback on the unsuspecting user session. Hackers see public WiFi networks as nothing but a goldmine. A goldmine where they can steal lots of bank details, credentials and passwords in a short amount of time. Good VPN services provide users with encryption. That means, the user’s data is totally safe (and scrambled) even if the user is on Public WiFi. With a VPN-enabled connection, the hacker will waste all his/her time in return for no reward. Our list of best VPN for Iran will also protect your sensitive data when you are on public WiFi. Moreover, you won’t have to worry about your private data being exposed to hackers at your home network either. It doesn’t matter where you are living. You could be living in Iran or traveling to another country for education, vacation or work, a VPN service will always work. In the process of doing so, you now know everything that anyone needs to know about best VPN for Iran. We have tried our best to cover everything on this topic. Remember, our list of best VPN for Iran only contains those VPN service providers that are trustworthy and offer users only the best privacy and security levels. Along with that, they offer advanced features such as stealth mode (or VPN obfuscation technology) to make sure that people have peace of mind when they are surfing the internet in Iran. Each and every VPN service on our best VPN for Iran list offers features such as DNS leak protection and Kill Switch. These services don’t keep logs. And keep the user data as private as possible. Moreover, these VPN services will work perfectly well with any public WiFi hotspot as well as the user’s home network. These VPN services come with a huge network of VPN servers. Moreover, these VPN servers are fast. And hence provide maximum speed for the best streaming experience. 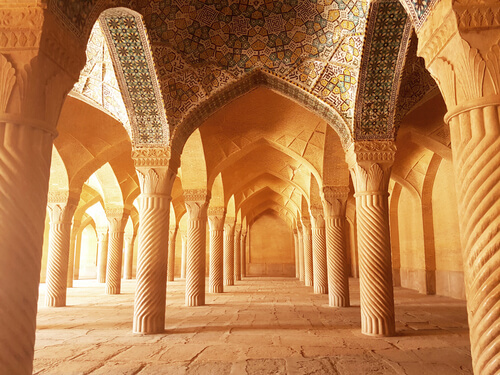 With our list of best VPN for Iran, users will have the opportunity to go wherever they want to go and consume whatever content they feel like consuming when in Iran. In the end, users should not forget that all of our VPN services come with at least one week of money-back guarantee. Use the trial period to see if a VPN service is suited to your requirements. If it turns out to be the one that you want then great. Otherwise, you can always ask them for your money back within the trial period. If you have any questions then don’t hesitate to let us know via the comments section below. NordVPN is a great alternative. But since it gives so much attention to security, sometimes its VPN servers become slow. And that isn’t suitable for people who want to stream things while inside Iran. Interesting that you did not mention Nordvpn. It shines in almost every online review on the other sites. If you want security – Nord is the answer. They have double encryption which basically means double protection, features like kill-swith, cybersec and are based in Panama, so yay no logs policy! They gave me a discount code SAVE75, maybe still working, worth checking. Thanks for the comment Hector Hopkins. NordVPN is an interesting alternative. Yes it does offer double encryption. But that double encryption decreases speed. And that’s not great for someone who wants to stream content.